If you want to flash your Lenovo Tab TB-X103F phone with stock ROM. So you are in right place. Here you will find stock ROM & tool download link. If your Lenovo Tab TB-X103F has issues, like- hanging, stuck in the boot loop (Hang On Logo) problem or unfortunately error comes again & again. So this flashing guide will help you to install stock ROM in your Lenovo Tab TB-X103F. In this flashing guide, I am gonna teach you. How to install stock firmware in the Lenovo Tab TB-X103F. And How to fix the software issue of your phone. If You Want to flash your Lenovo Tab TB-X103F? First, you must have to download the stock ROM of the Lenovo Tab TB-X103F & Download tool. Now here you will get the official Lenovo Tab TB-X103F, Stock Rom & Download Tool. Before start flashing process of your Lenovo Tab TB-X103F backup your personal data because, During the flashing process, your device’s memory gets formatted Completely. First, you must have to download the stock ROM of the Lenovo Tab TB-X103F. & QFIL Download Tool. After select programmer file then select build file (rawprogram0.xml & patch0.xml). See the image below. 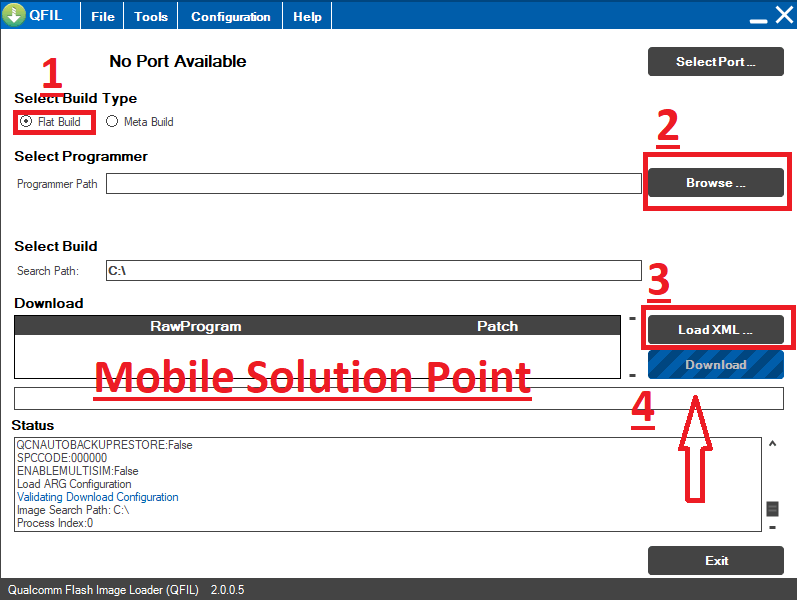 Now connect your Lenovo Tab TB-X103F in download mode (EDL Mode). By simultaneously press both vol+ & Vol- then insert USB cable.